Just like his father! 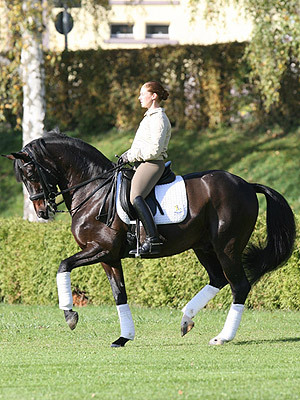 This exceptional young stallion, whose spectacular movements captivate everyone, is well equipped for an outstanding career. 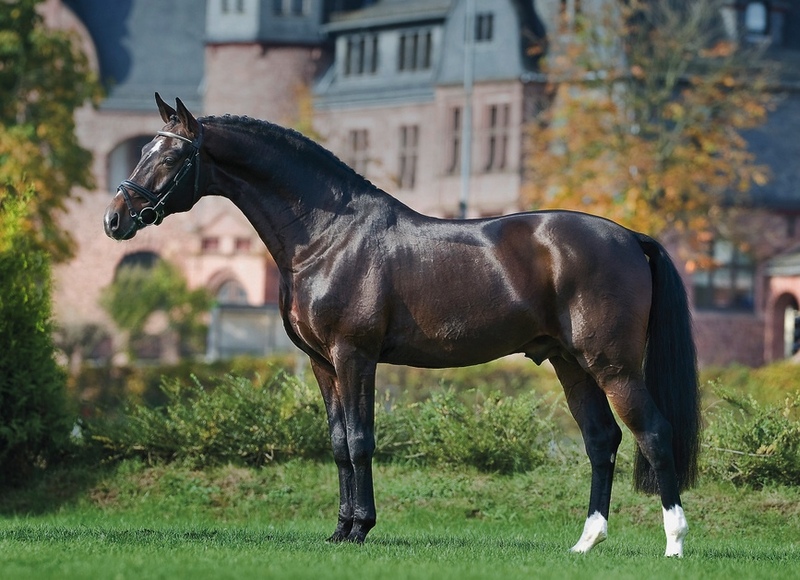 He is the son of the above mentioned and very successful "Don Schufro" who also stands at the PS Stud and has an exemplary pedigree background. 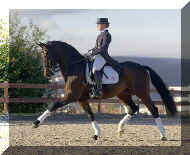 Headlines highlight the road to success of the still young Diamond Hit, who made his claim to international fame in 2005: his licensed son Donavan became Bundeschampion in Warendorf in the four-year old stallion class, his daughter Loxana was the sovereign champion at the Oldenburg Elite Mare show in Rastede, where ten Diamond Hit daughters were named State Premium Mare. 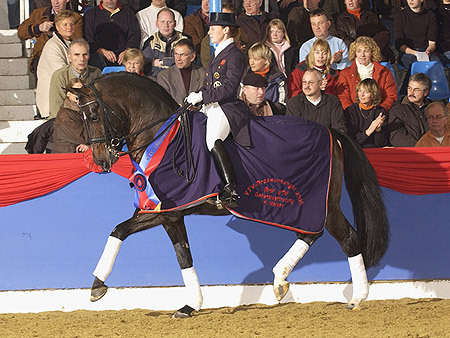 Diamantbörse became Oldenburg Regional Champion for 3-year old riding horses and achieved a top knock down price at the Vechta Elite Auction in the autumn of 2005. The amount of licensed offspring is currently ticking at nine and is still rising. 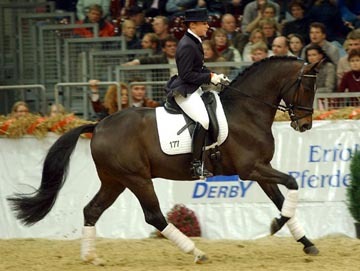 The apex of the season was achieved at the 2005 Oldenburg Stallion Days, where Diamond Hit was proclaimed VTV-Dressage Stallion of the Year. 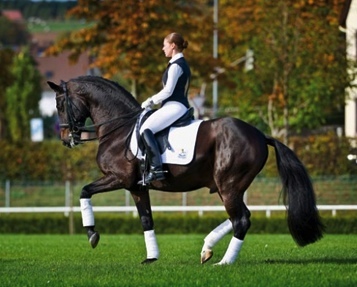 And the icing on the cake is that he is currently ranking tenth on the FN- Breeding Value Index. His sport career has also been marked by a string of success. 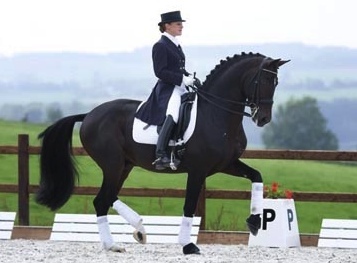 In 2002 he became Reserve Champion of the 5-year old division at the World Championships for Young Dressage Horses in Verden and at the Bundeschampionate in Warendorf. The year prior, he was reserve regional and reserve bundeschampion in the four-year old stallion division. 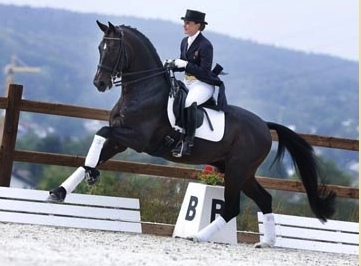 At the 2001 Bundeschampionate, the German ministry of Agriculture proclaimed him Best Licensed and Performance Tested stallion. 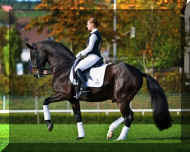 At the moment, Diamond Hit is currently trained and competed at S-level.